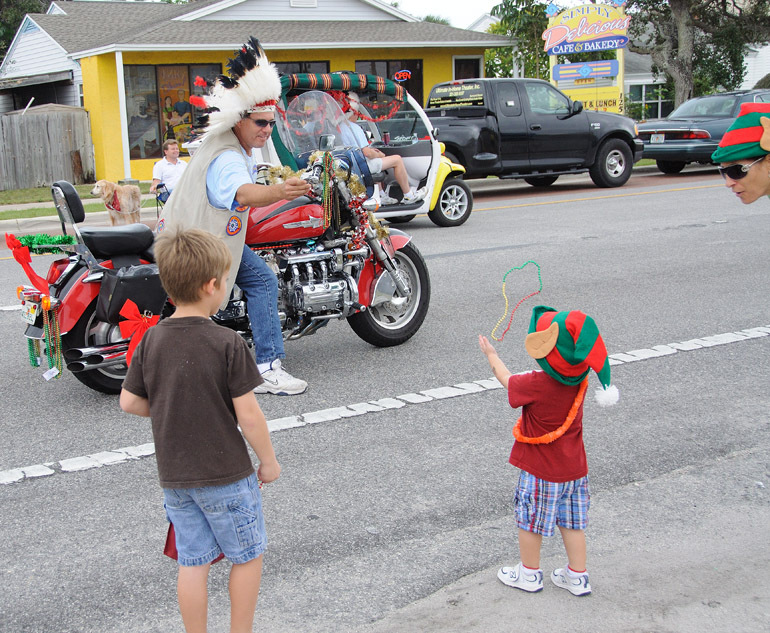 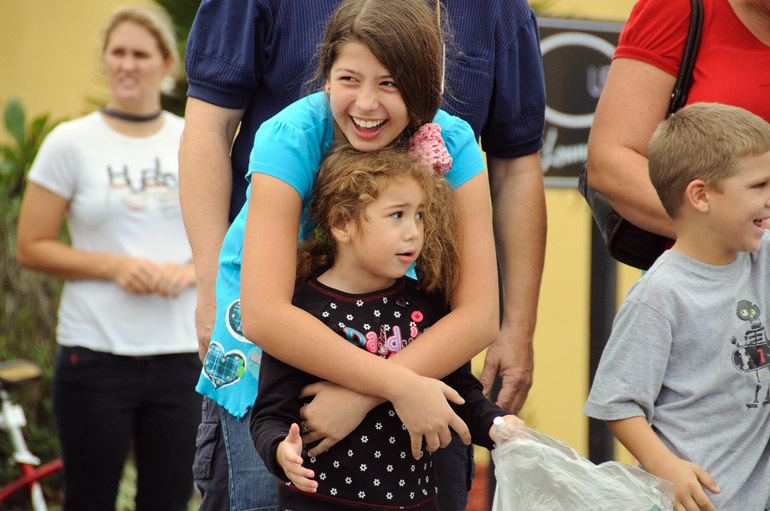 An Indian motorcycle-riding participant in the Cocoa Beach Christmas parade on Dec. 12 throws beads to a child, who readies for the catch. 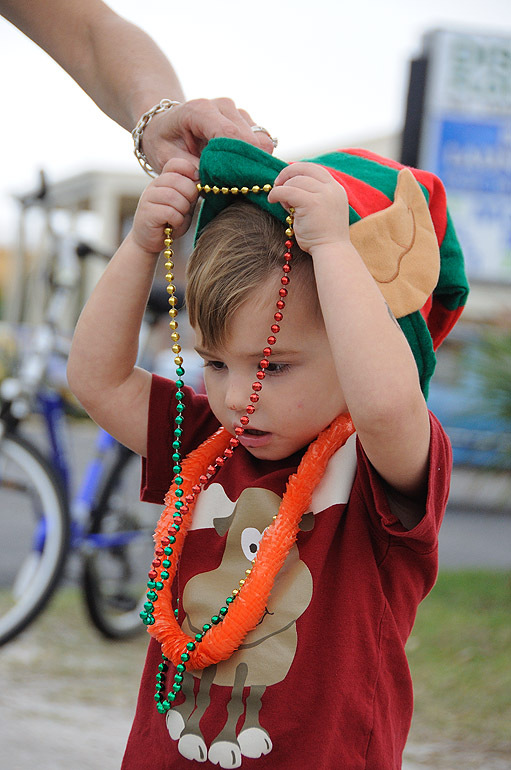 To everyone's surprise, the boy caught the beads and promptly donned them. 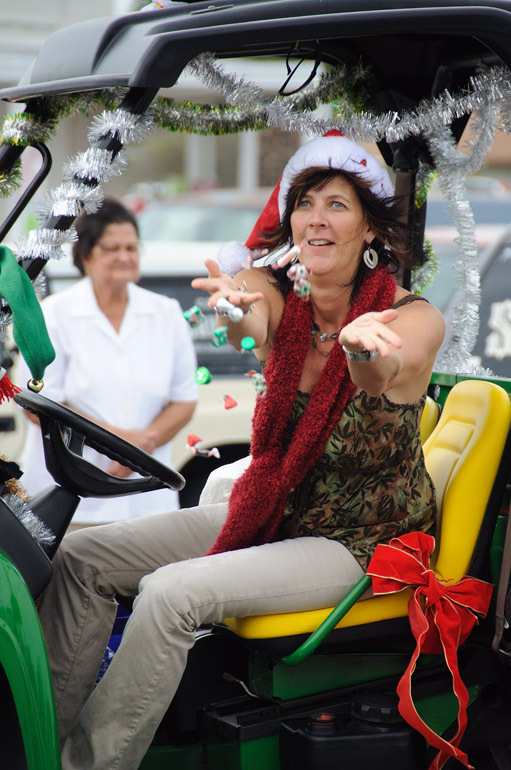 A woman throws candy from a John Deere. 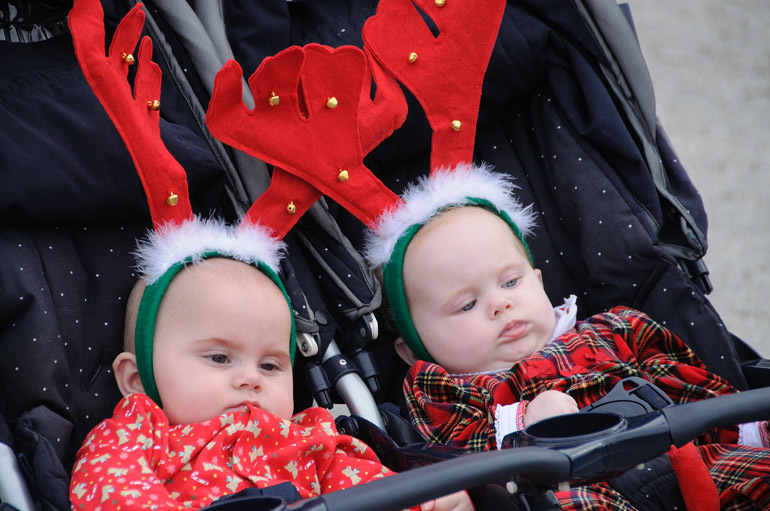 Two British children are dressed as reindeer. 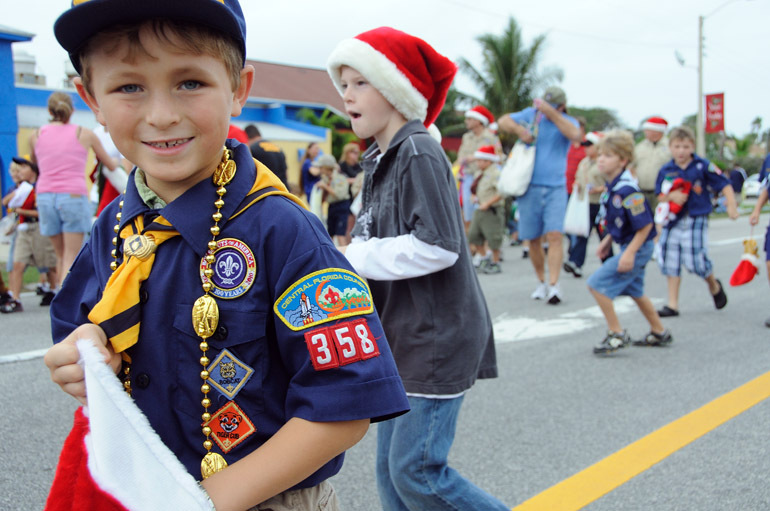 A Cub Scout gives out candy. 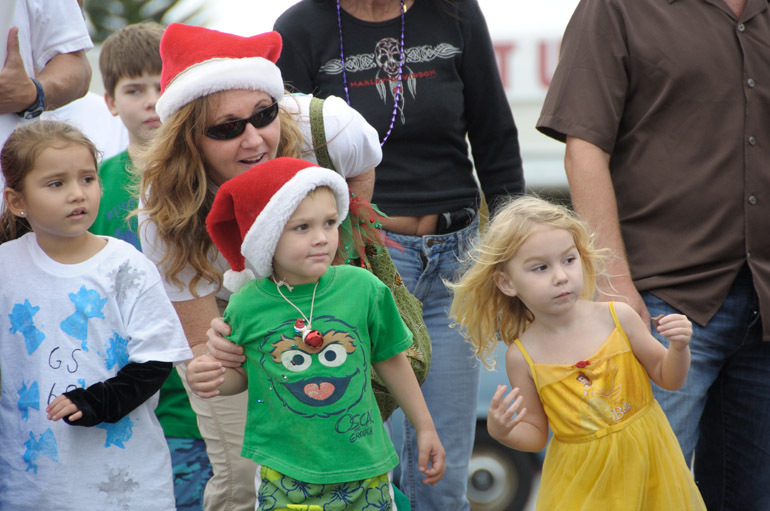 Children look down State Road A1A in downtown Cocoa Beach to see who's coming next. 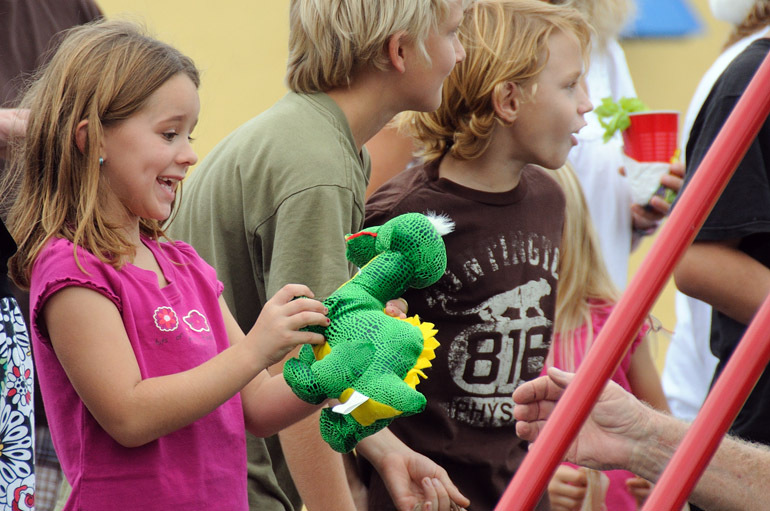 The gift of a dinosaur. 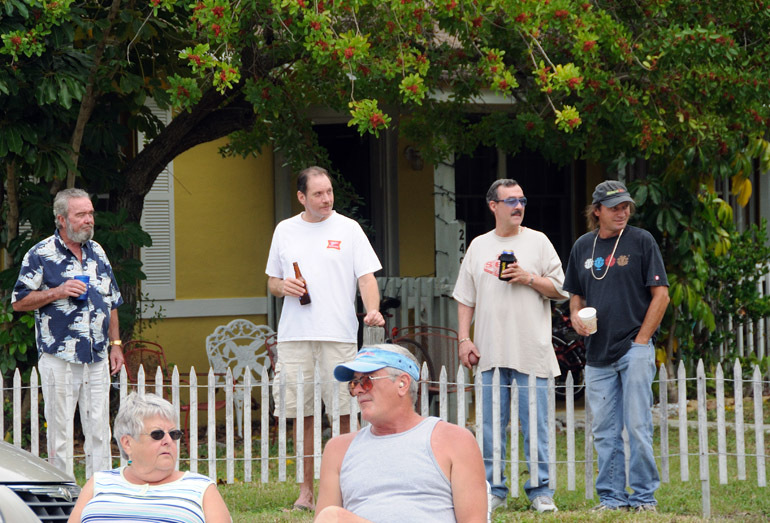 Hank, Dale, Bill and Boomhauer from "King of the Hill" watch the parade while drinking beer. 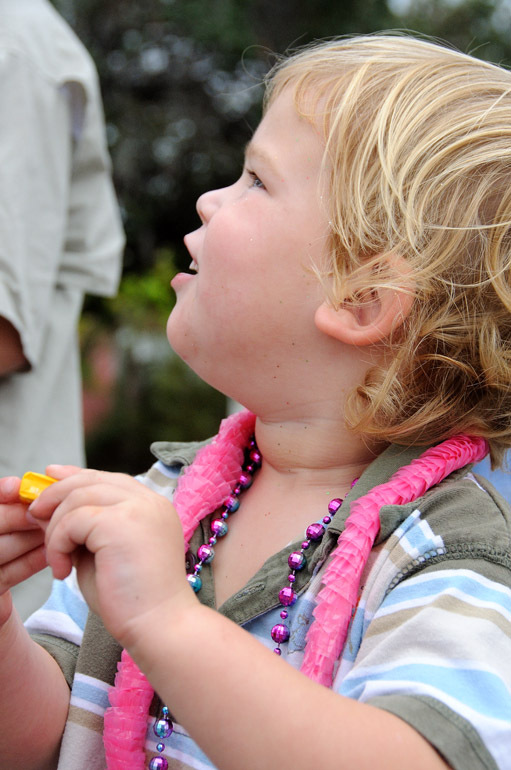 A boy unwraps a lemon Starburst candy. 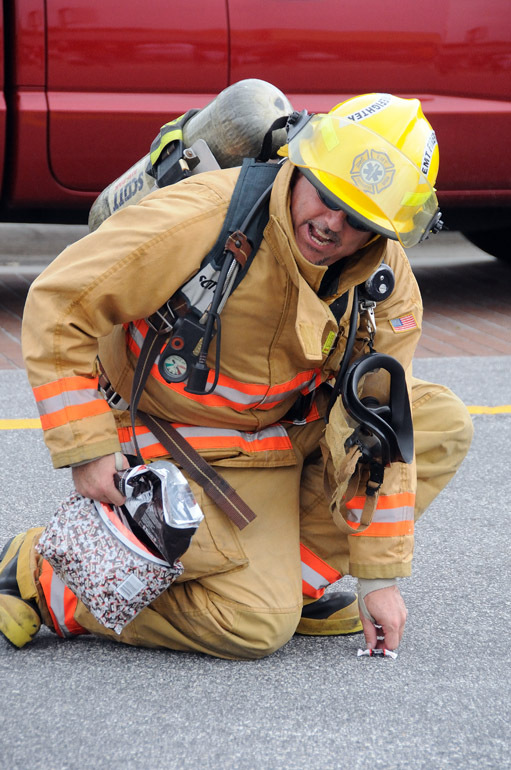 A firefighter picks up a Tootsie Roll that he had dropped. 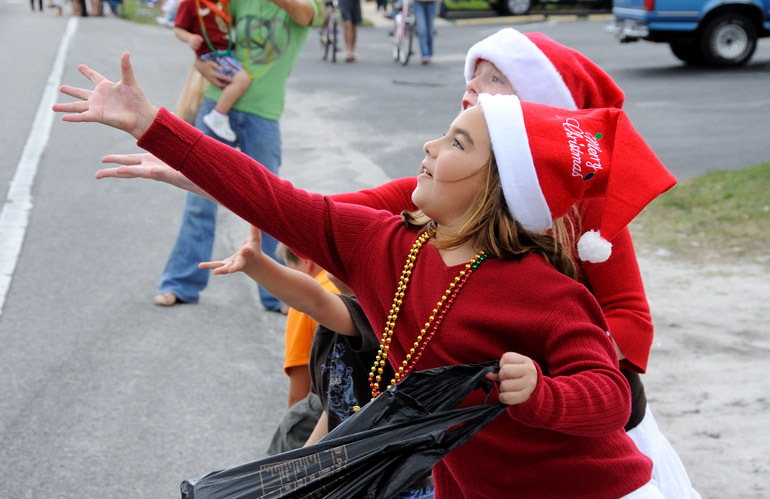 Children reach out for candy. 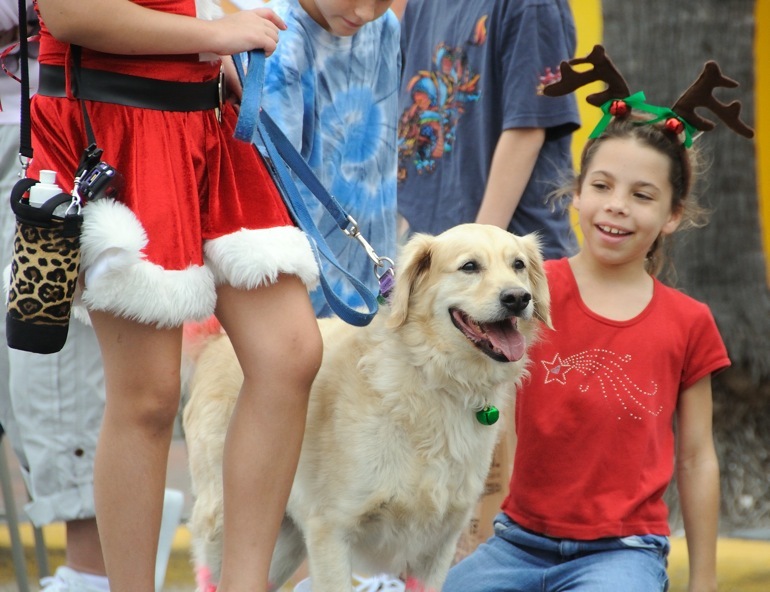 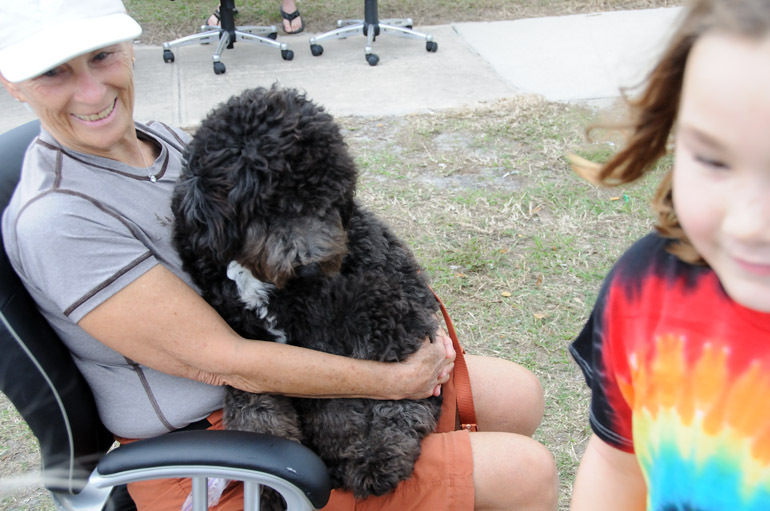 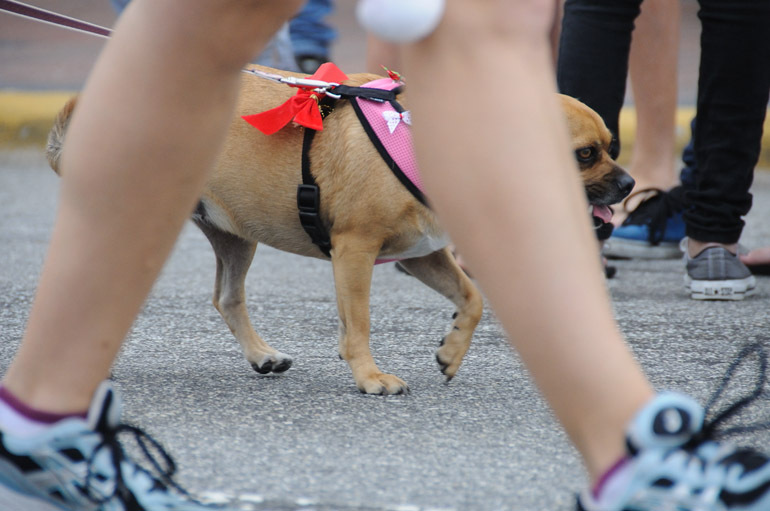 A dog owner smiles after the pooch received a treat from a parade participant. 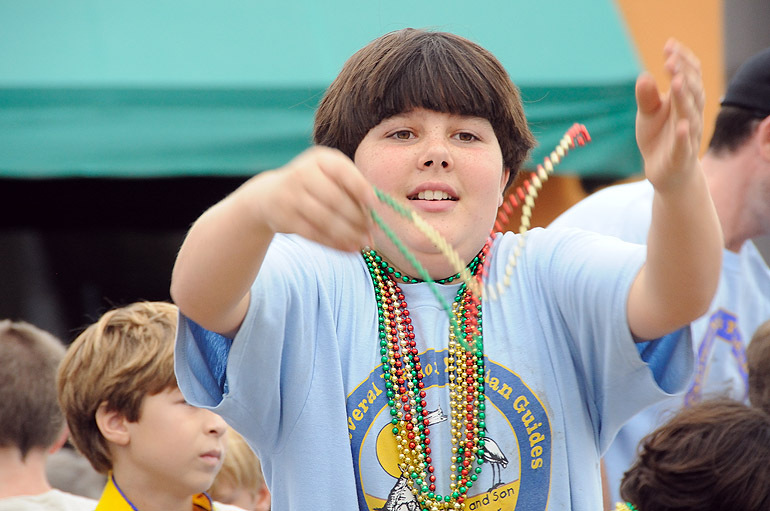 A boy and parade participant throws beads from a float. 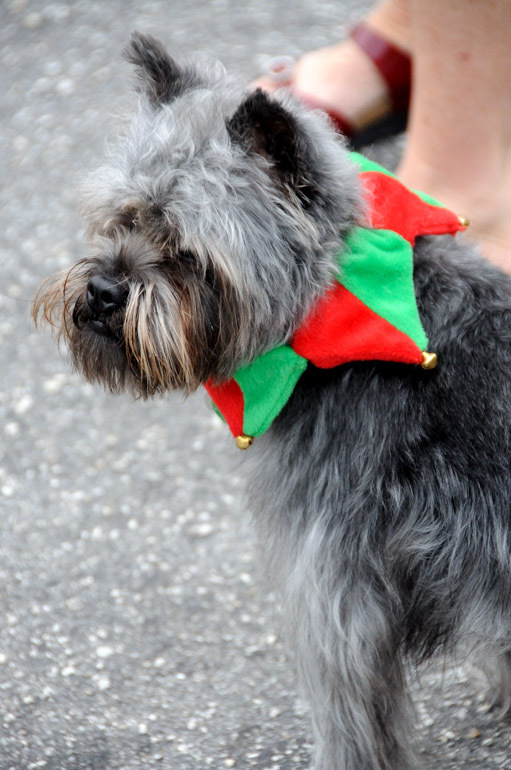 Even the dogs got into the spirit. 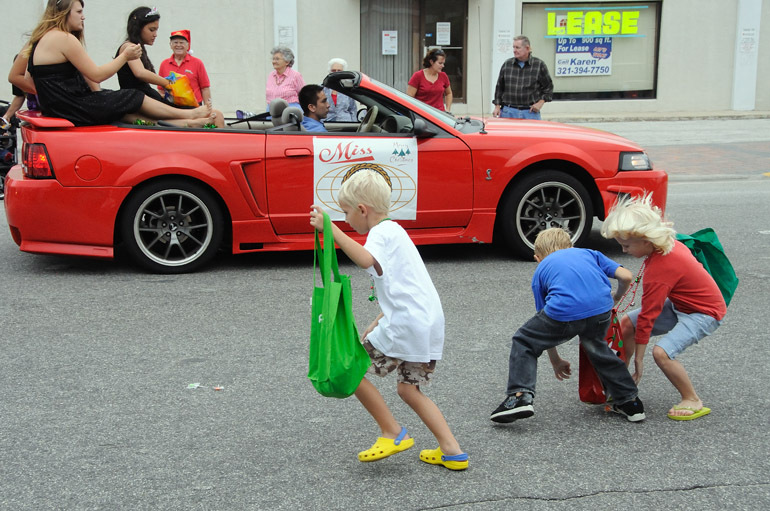 Children gather candy from people riding in a Ford Mustang. 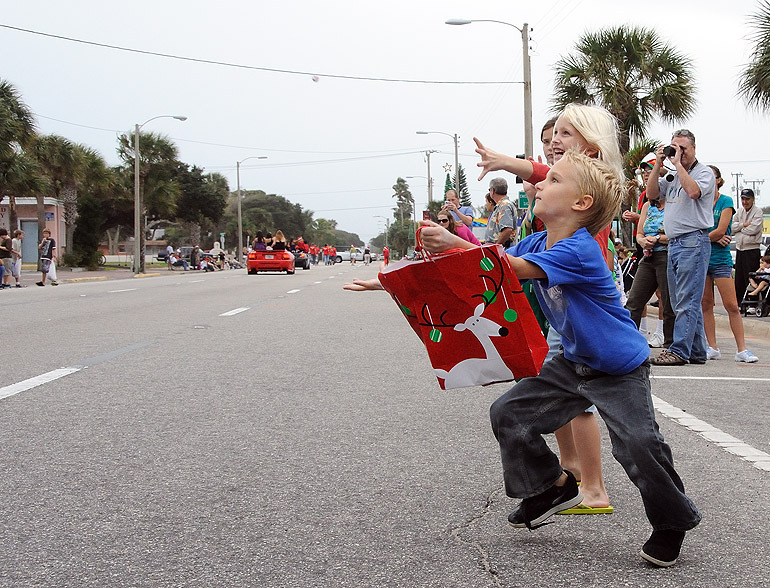 They were serious about getting the most candy as possible. 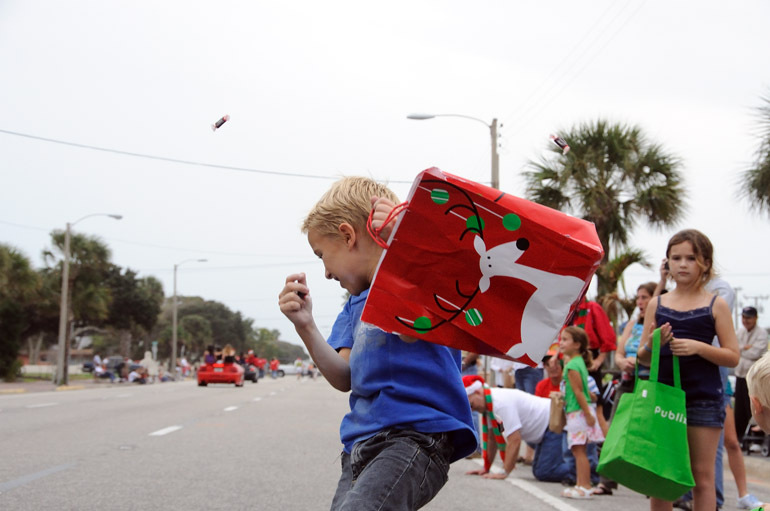 A boy recoils after getting showered with more candy than expected. 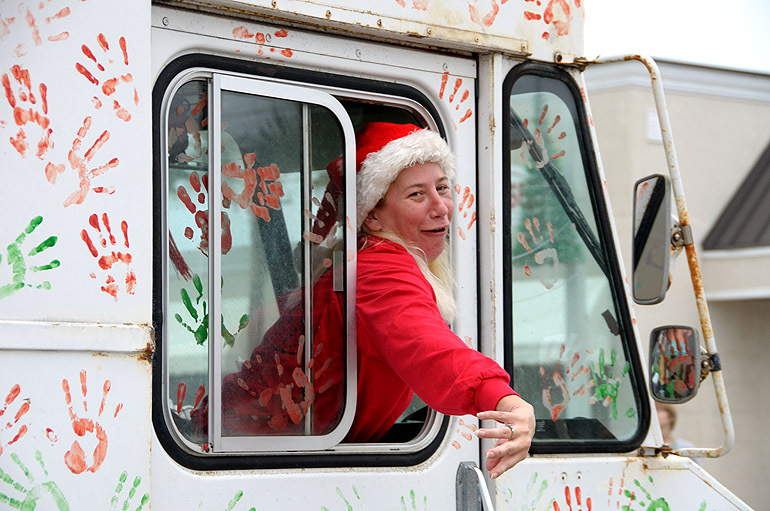 A woman chucks candy from a handprint-covered truck. 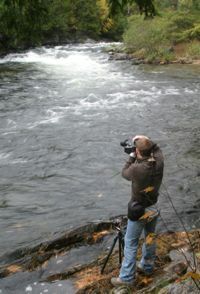 I was going for a reflection shot here. 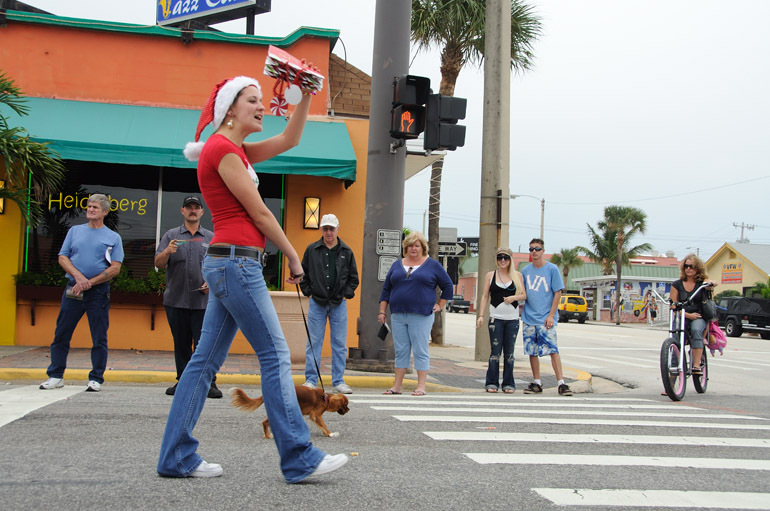 People watch a young lady and her dog next to Heidelberg, one of my favorite Cocoa Beach restaurants that serves German cuisine. 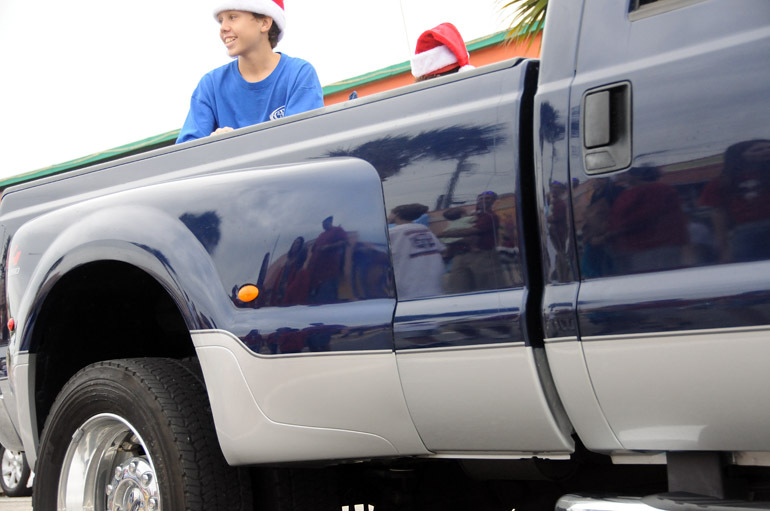 A group of teenage girls signal for a truck driver to sound his air horn. He did. 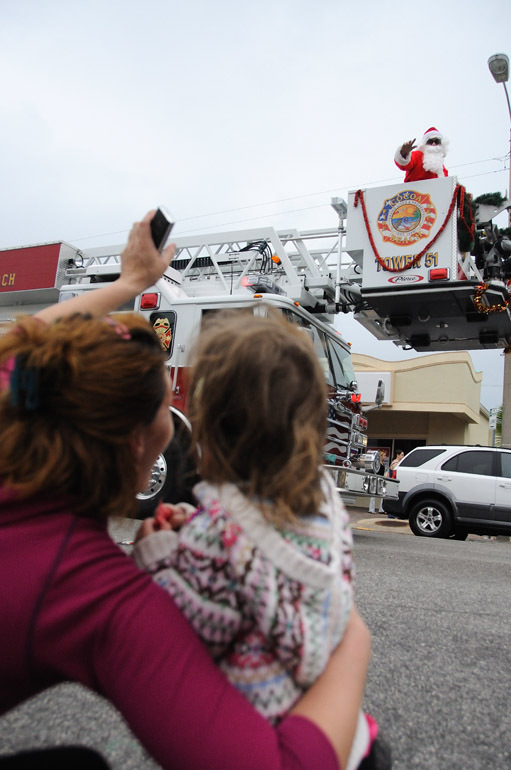 Mom and daughter wave to Santa, the parade's grand finale.